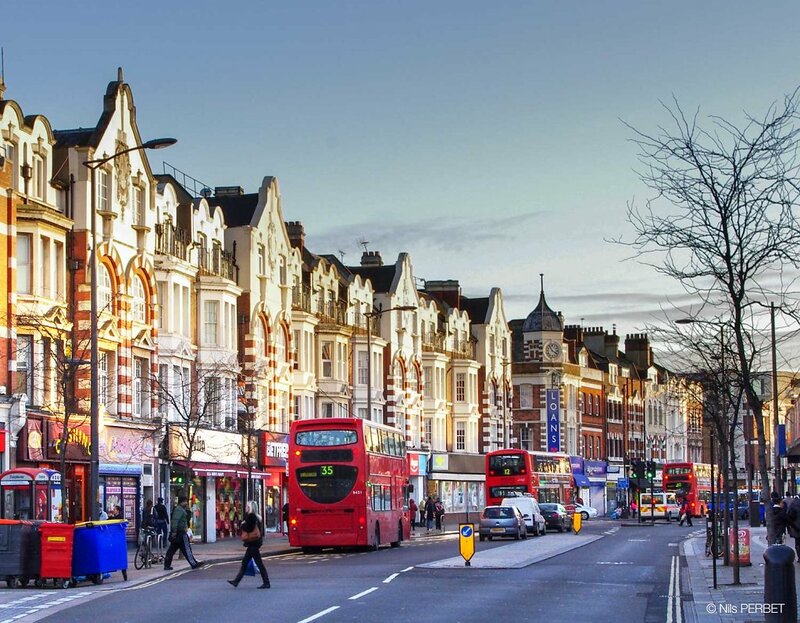 London is one of the most attracting capital of Europe. 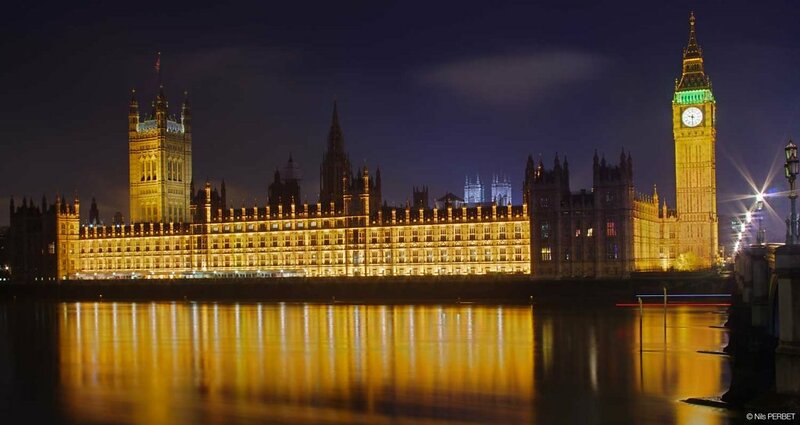 The House of Parliament - or Palace of Westminster - is the meeting place of the House of Commons and the House of Lords, the two houses of the Parliament of the United-Kingdom. Built in 1835 on the City of Westminster (central London), setting on the bank of the River Thames, this building is one of the most known symbol of London, especially the clock tower which houses the bell known as Big Ben. London by night is a beautiful city. 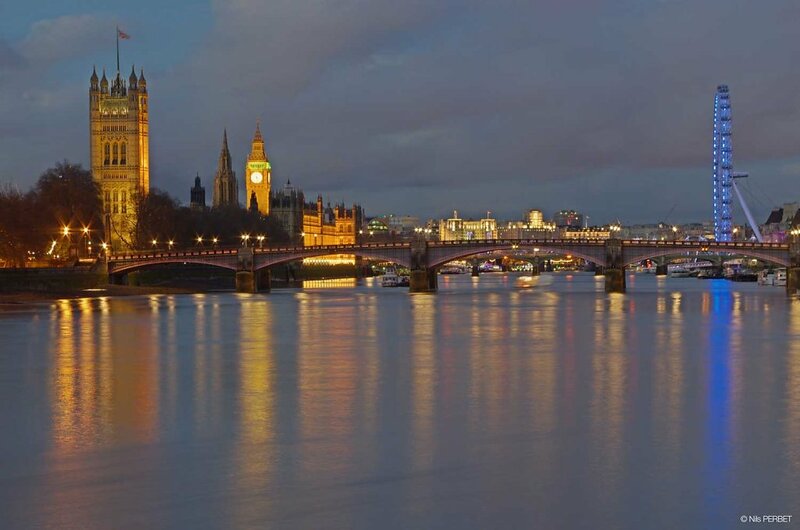 The House of Parliament, Lambeth Bridge, London eye or Charing Cross Station are part of the London skyline. One of the main axe for the south of London, this road is full of people from different countries. On this area, we can observe the cosmopolitan nature of London. 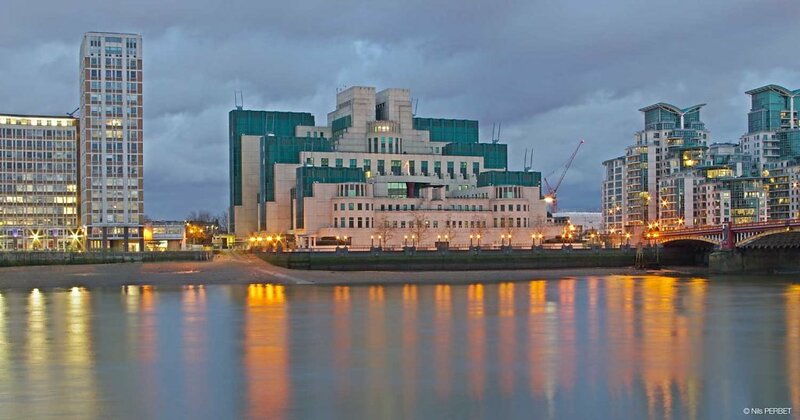 The Secret Intelligence Service (SIS), commonly known as MI6 (Military Intelligence, Section 6), is the British Intelligence agency which supplies the British Government with foreign intelligence. The SIS headquarters has been at Vauxhall Cross (central London), on the banks of the River Thames since 1995. 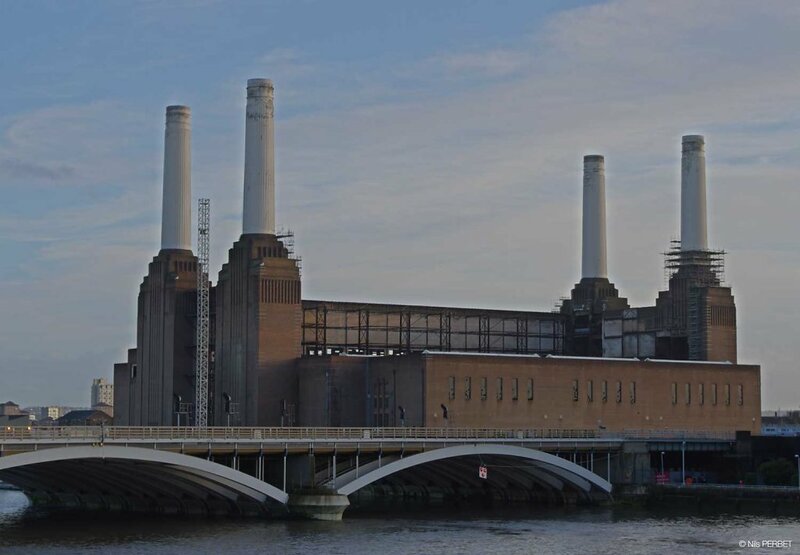 Built in the 1950s, the Battersea Power Station is a decommissioned coal-fired power station located on the south bank of the River Thames, in the South West of London. After the Second World War, this station was providing a fifth of London's electricity needs. 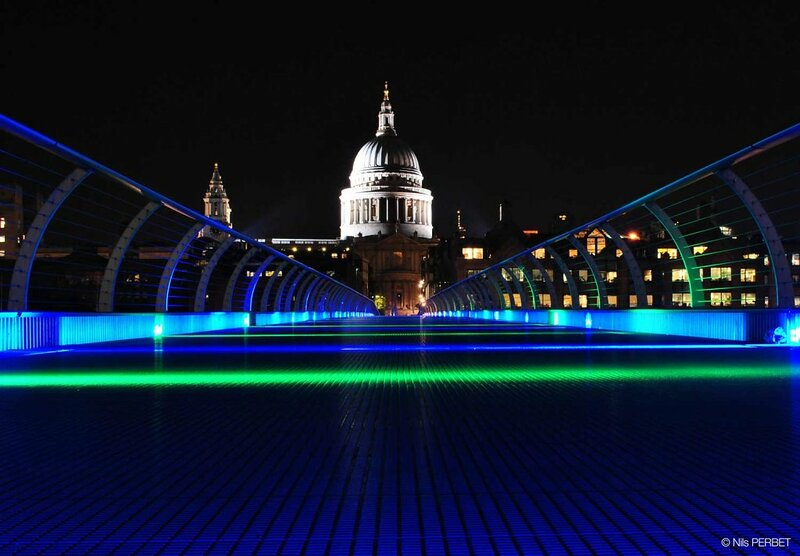 The Millennium Bridge is a steel suspension bridge for pedestrians crossing the River Thames in London, linking Bankside with the City of London. On the back, Saint Paul's Cathedral is on the top of the highest point in the City of London (at the top od Ludgate Hill). This church was built between 1675 and 1720. This Red telephone box is sitting on Parliament Street, central London. This is a telephone kisok for public telephone. 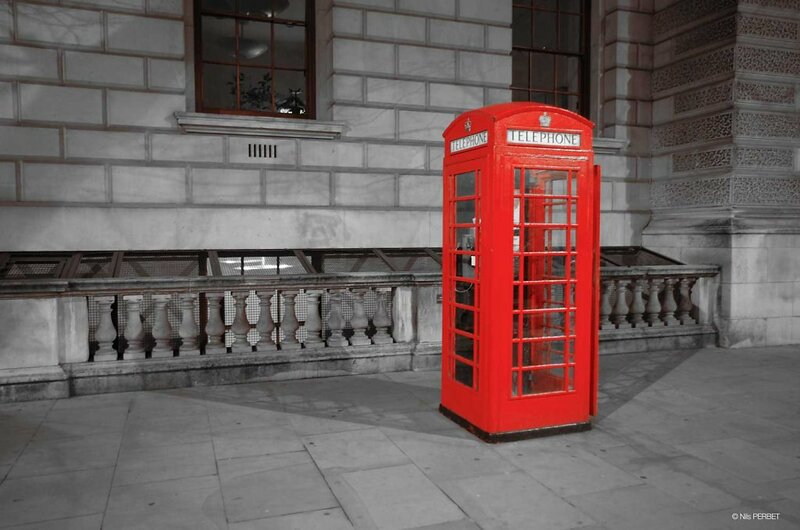 The Red telephone box is often seen as a British cultural icon throughtout the world. The first version of those boxes has been manufactured in 1925. 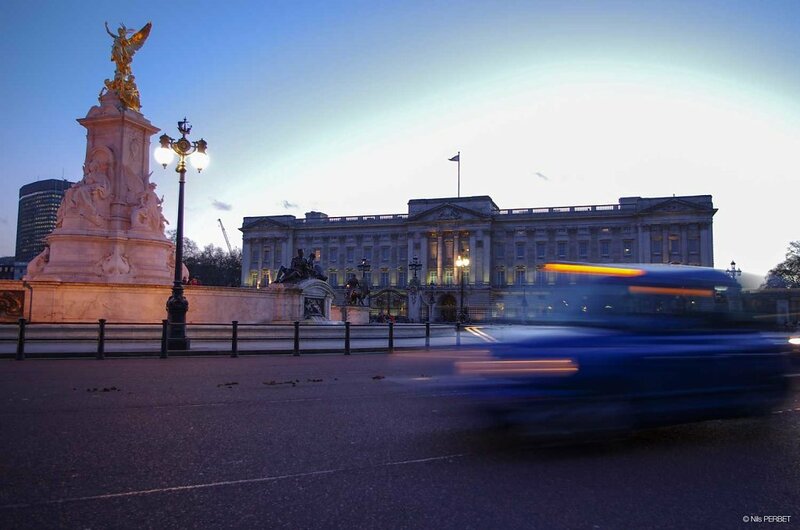 Built for the Duke of Buckingham in 1703, Buckingham Palace is the London residence and principal workplace of the monarchy of the United Kingdom. Front of it, the Victoria Memorial was created in 1911. 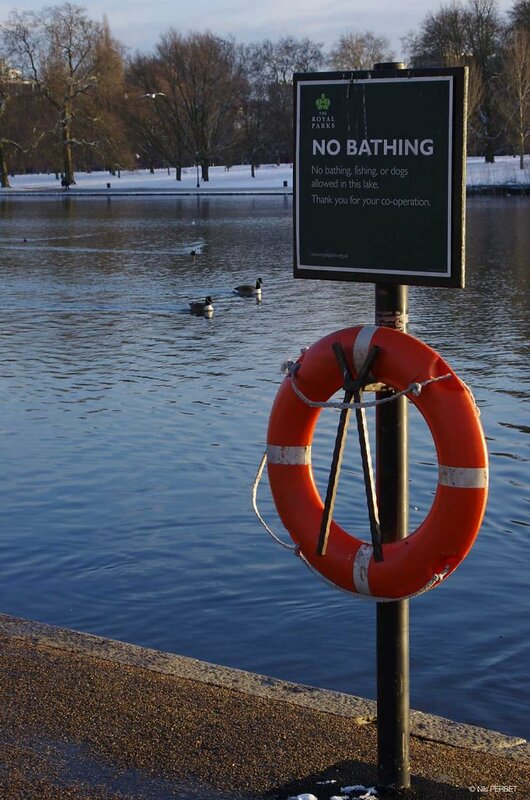 The Serpentine is a 40-acre recreational lake in Hyde Park, one of the largest park in London. During the summer, boating and swimming is allowed in specific areas whereas, during the winner, we can walk on park sometimes covered by the snow. Feeding birds in the garden is a popular activity - over half of adults in the UK feed birds in their garden. 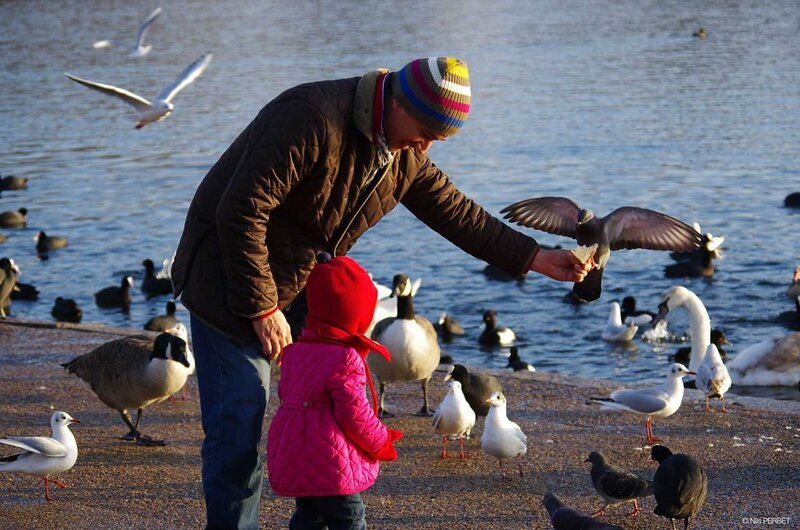 London is not an exception and a lot of people feed birds on the parks, during the winter, as here in Hyde Park, alongside the Serpentine. 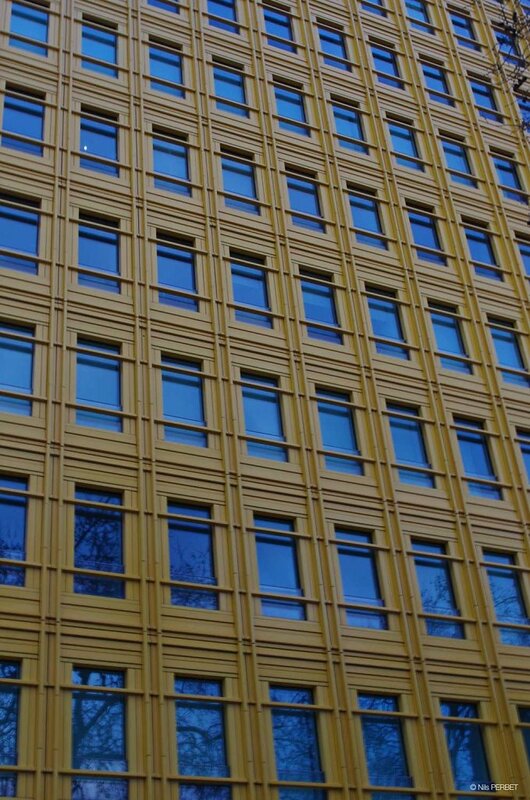 Central Saint Gilles is a mixed-use development in central London, near Tottenham Court Road. Built at a cost of £450 million and completed in May 2010, the development consists of two buildings of up to 15 storeys in height. It is chiefly notable for its façades, covered with 134,000 glazed tiles in vivid shades of green, orange, lime and yellow. 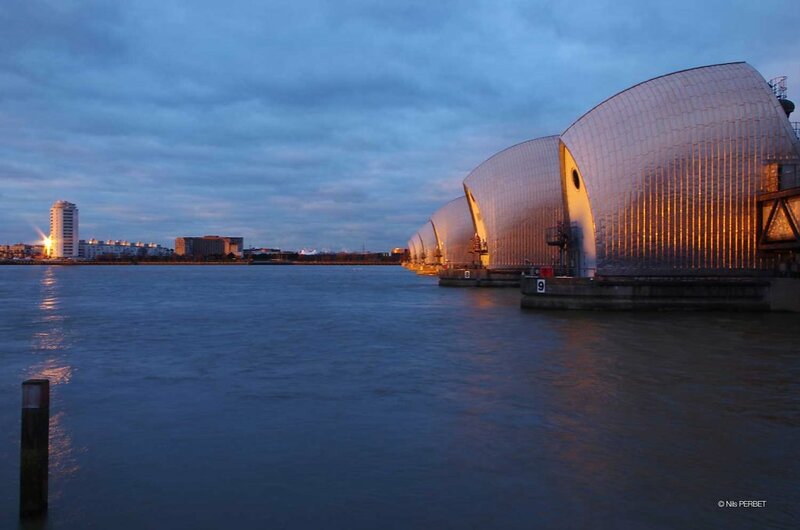 The Thames Barrier is located downstream of central London. Operational since 1982, its purpose is to prevent the floodplain of all but the easternmost boroughs of Greater London from being flooded by exceptionally high tides and storm surges moving up from the North Sea.